Optoelectronic devices are used to activate or deactivate an electronic circuit based on the intensity of light. Besides this general purpose, optoelectronics devices are used in telecommunication, surveillance systems, capturing solar energy etc. Solid state optoelectronic components are used as sensors for detecting visible light, Infrared rays Laser, Ultraviolet rays etc. The note given here explains the different types of optoelectronics devices and their applications. These are devices detecting variations in the light intensity to activate or inhibit a circuit. 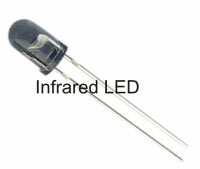 The important components belonging to this category are LDR, Photodiodes, Phototransistors etc. These devices generate a voltage and current by accepting energy from light. Based on the intensity of light falling on the p-n junction of these devices, corresponding voltage and current will be generated. 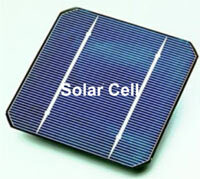 Solar cells and Photovoltaic cells belong to this category. LDR is a small device used to detect variation in light intensity. It is a kind of variable resistor and the resistance depends on the intensity of light falling on it. In total dark, its resistance is as high as 10 Mega Ohms which reduces to a few Ohms in bright light. LDR is called as CdS cells because its semiconductor is Cadmium Sulphide. Its light sensitive area is doped with impurities like Silver, Antimony or Indium. When the light fall on the semiconductor material, flow of electron- hole pairs occur and electrical conductivity takes place. In structure, the LDR has a thin Zig-Zag shaped semiconductor line enclosed in a transparent case. LDR can handle very high current and even AC passes through it without harming the device. Two leads are arising from the two ends of the semiconductor. LDR is available in sizes 3mm, 5mm, 10mm 20mm etc. 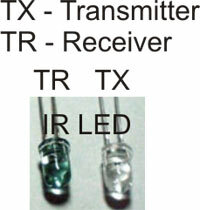 It is an LED type device used in reverse bias mode to generate Photo current. 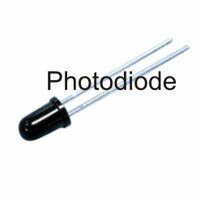 Photodiodes are high speed devices which generate current (in µA) when light fall on it. The photodiode has a large p-n junction and the photons impinging the junction, cause rupturing of covalent bonds in the semiconductor to produce electron-hole pairs. When the intensity of illumination increases, additional electron-hole pairs is produced and the flow of current increases. 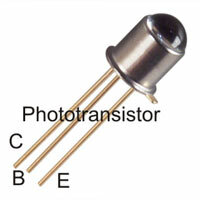 Phototransistors are similar to photodiodes but they amplify the current generated by the reverse biased p-n junction. Phototransistors are light sensitive duo diode devices with two junctions separated by a wide base region. It has an n-p-n junction. The n-p junction remains slightly forward biased and the p-n junction is slightly reverse biased. When light illuminates the n-p junction, electron-hole pairs are generated. The electrons then diffuse out of p region while the holes remain in the p region. This forms a positive charge. This increases the forward bias of n-p junction and current flow increases. Phototransistors are usually connected in common base mode with the base connection left unconnected. Only the collector and emitter are connected in the circuit. There is a transparent window with a focusing lens to pass light into the semiconductor junction. Darlington phototransistors are also available with greater sensitivity. These are Photodiodes emit light in the infrared region which is invisible to eye. The p-n junction of IR diode is made up of Gallium arsenide. There is a recombination junction between the p and n type semiconductor. When a potential difference is applied between the anode and cathode of IR diode, electrons move from the n region and combines with the holes of the p region. Recombination of electrons and holes takes place in the recombination region and photo emission takes place in the form of infrared. The rays have a wavelength around 900 nanometers. These are photoelectric transducers generating electric current by accepting light energy. The photocell has many p-n junctions connected in series. One of these junctions is very narrow to allow the passage of light energy. When sunlight incident on the p-n junction, electron-hole pairs are formed. These charge carriers generate current proportional to the incident light energy. The sunlight incident on the semiconductor junction of solar cell collides with the valance electrons. This causes formation of charge carriers which cross the p-n junction in an opposing manner and create a voltage across the p-n junction. Approximately 0.6 volt will be generated from each solar cell.